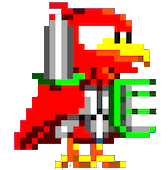 Here’s one of my own chiptunes. My composition, Lament. How do you teach musicality? Musicality is the x-factor in any performance. It’s the part that can’t be captured in words, can’t be measured and can’t be taught. You either have it, or you don’t. That doesn’t stop teachers from trying. I’m sure there are many exercises, techniques and methods designed to make a performance sound more “musical.” If you crescendo through a long, sustained note, it may sound more expressive and musical. But a student who follows such a rule isn’t necessarily more musical; he’s just good at following instructions. Jazz education uses transcribing and imitation to teach musicality. While at the University of Toronto, I remember transcribing Frank Sinatra and learning to play his solos on the piano, trying to capture every subtly as best as I can. The assignment was meant to ingrain into students a sense of melody, phrasing and musicality. Of course, such an exercise may contribute to a student’s overall musicality, but transcribing and learning solos doesn’t make you a more musical player. You could transcribe and learn hundreds of solos and still sound horrible. As a teacher, teaching musicality remains as elusive as ever. I recently unshelved my old Schenkerian Analysis textbook to show a student a framework for melodic development while improvising. I’m sure it’s a piece of the puzzle, but I still don’t know where it fits, or how to translate it into musicality. First of all, helping a student fill in the puzzle pieces that contribute to musicality is admirable. Maybe musicality can be likened to an overflowing bowl of rice. Teachers help students fill the bowl, one grain at a time. Every little bit counts. Secondly, this philosophy is contrary to the idea that “everyone is musical.” I’ve heard it said that as long as you have a heartbeat, you have music in you. I once spoke to an older gentleman who claimed to be completely unmusical and unable to keep a beat. I asked him if he knew the “ABC” song. Of course he did. So I gave him a set of spoons and told him to tap the spoons on his thigh whenever he said a letter. Success. He was astounded. His idea of musicality may have been built on a flawed notion of what a beat is. He may also only understand musicality in the context of a concert pianist or master percussionist. He never considered musicality being expressed while singing the ABC’s and playing the spoons. If you consider yourself unmusical, it’s likely that your relationship with a musical instrument (among other things) does not match the conditions you need to express yourself musically. Unmusicality then, isn’t because of a lack of talent; it’s because of a lack of options. Actually, it’s more likely a lack of being aware of the options. There are so many diverse ways to express musicality that it’s hard to believe that there isn’t a path for everyone. If chance and circumstances determined that you play jazz piano, that doesn’t mean you’re meant to play jazz piano. In fact, playing jazz piano could be holding you back from discovering your true musical potential. Maybe you should play classical piano. Maybe you should sing. Maybe you should design a musical comedy show for kids including costumes and puppets. Maybe you should try producing. Resorting to the “you either have it, or you don’t” philosophy is too limiting. Teachers need to be aware of more, diverse options to uncover musicality in their students. 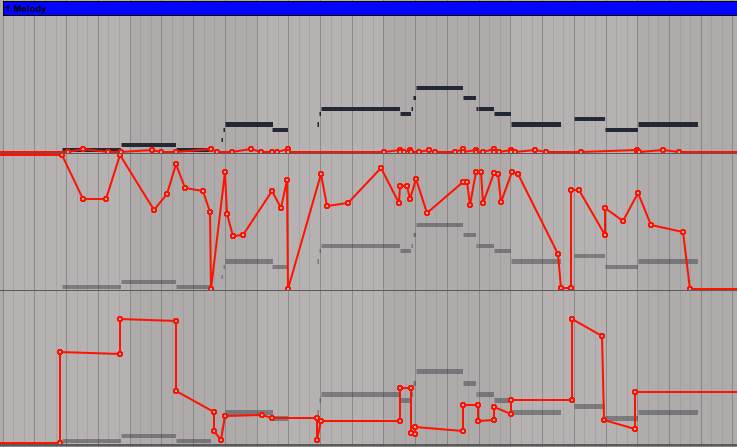 Below is the chiptune melody from my composition Lament. You’ll notice right away how “unmusical” it sounds. If you’re a pianist, singer or instrumentalist, you may have the knowledge and physical skills to perform this melody, add certain inflections, and make it sound more musical. But suppose you don’t have the physical skills. Does that mean you’re doomed to a life of unmusicality? Of course not! As I mentioned in the previous post, computers, software and interfaces are instruments too. You may not have the physical skills to connect with a traditional musical instrument like the piano, but that doesn’t mean you don’t hear, feel or know how to connect musically. Maybe your skills are better displayed with a computer and sequencing software, in which case, you can manipulate certain variables to make a melody sound more musical. 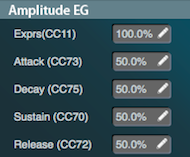 When I’m creating my own chiptunes, my sound palette is derived from a virtual instrument called Chipsounds. Chipsounds emulates the waveforms of many 8-bit music chips from vintage computer and gaming consoles. It plugs into my sequencer (Ableton) on my computer. Synthesizers usually have some kind of volume envelope. 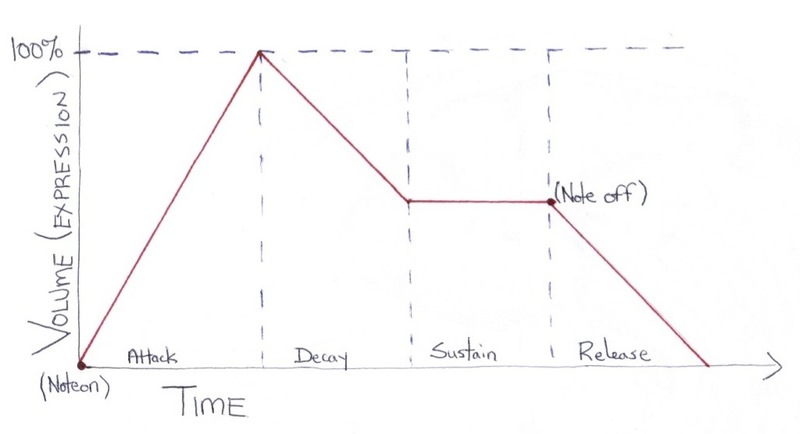 A volume envelope determines the way in which the amplitude/volume of a note changes over time. 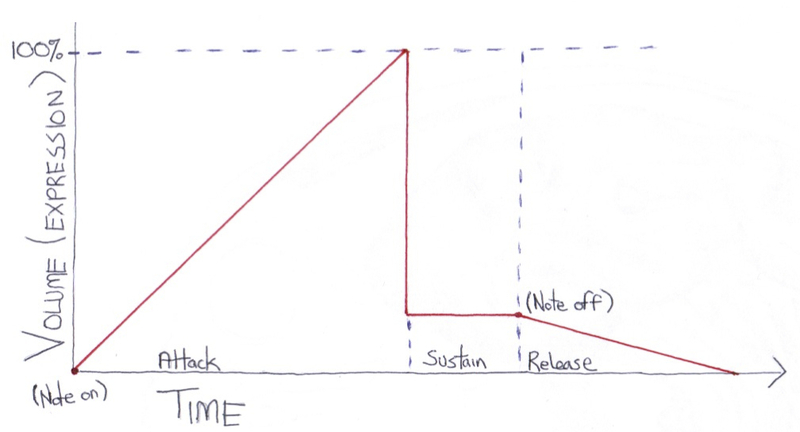 Users have access to anywhere between three and seven variables that affect the volume of a note. Here are two more examples. 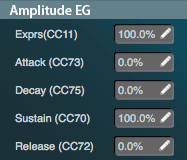 You’ll notice that the values of attack, decay and release determine the amplitude’s slope. Sustain is a percentage of expression’s value. When you play a traditional instrument, it’s easy to take the phases of a note for granted – they’re naturally built into the capabilities and limitations of that instrument. When you play the piano for example, you only have control over the expression and the length of the note. A pianist’s technique is based primarily on manipulating this strict structure. 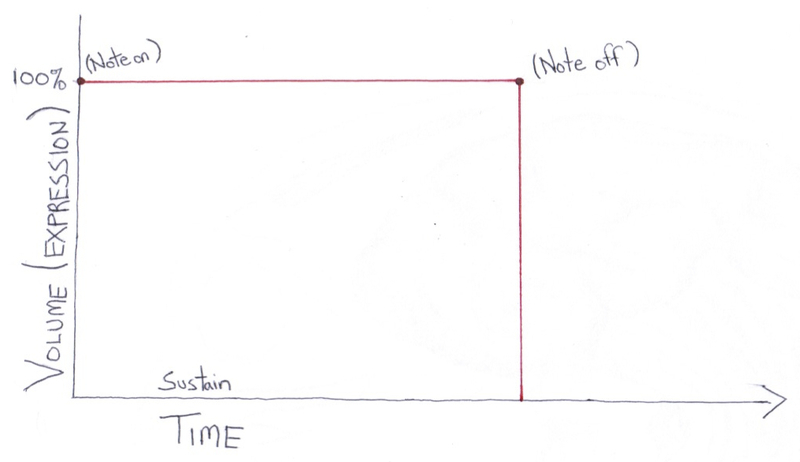 I’m only scratching the surface with volume envelopes. There are also pitch envelopes, filter envelopes, LFOs (for vibrato), oscillation editing (for manipulating the partials of a waveform) and much more. Waveforms, envelope generators and music synthesis in general open up a whole new world of sound design and alternative ways to express musicality. There are countless ways these variables can be manipulated, combined and ultimately, be used to connect. With the right keyboards and technology, live performance is one option. 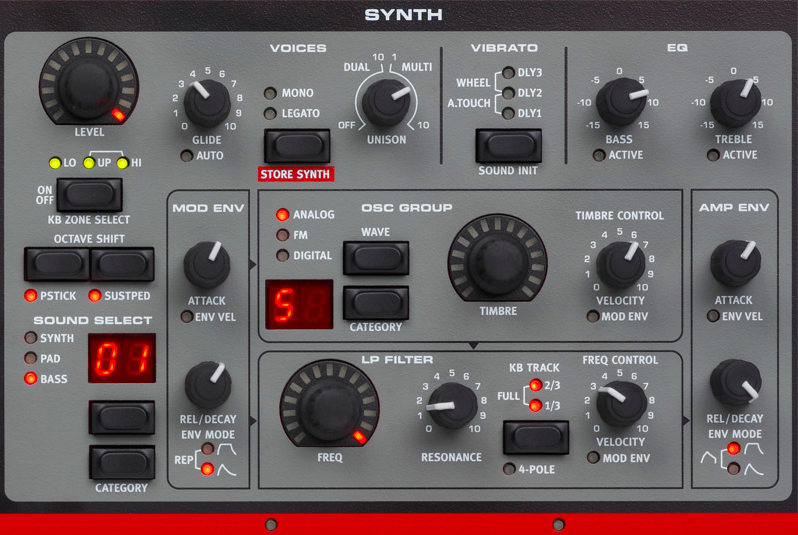 My Nord Stage has many knobs that control many of these variables. All of my students at the University of Toronto are enrolled in a Jazz Performance degree, supposedly to become performers of jazz music. I’ve written many times before that it’s not always best to assume my students will become performers. Their skills, temperament and musicality might be better suited to recording, sound design and production. With automation and sound design, a person’s skills need to be focused differently, compared to if that person was playing a piano. While using sequencing software, because the physical dimension of playing a musical instrument is mostly taken out of the equation, one could argue that it frees up a portion of mental capital that can then be dedicated to listening and ear training. Unfortunately, there’s a certain stigma attached to people who create music using computers, software and other digital means. It’s brushed off as being amateurish, untalented, dishonest and not to be taken seriously. It’s as if removing the physical relationship with a traditional instrument somehow removes a person’s capacity to be musical. I disagree, and I hope my examples above give evidence to a broader idea of musical expression. Thanks to my adventures in chiptunes, I’m more comfortable encouraging students to experiment with sequencing software and music production. Depending on the student, there could be much value to be gained when it comes to expressing their musicality. At the very least, it’s a piece of the puzzle – another grain of rice.